There were many parts of this book that I LOVED, parts that challenged me and made me think. Some of it felt self absorbed and frustrated me. 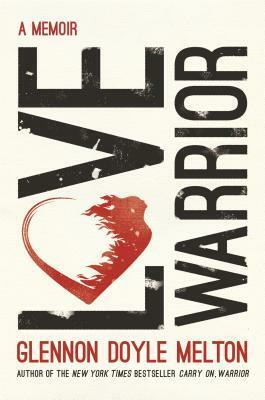 Sign into Goodreads to see if any of your friends have read Love Warrior. I am 100% with you. I struggle to say I LOVED the whole thing, but that there are some really great points that make it worth the read for sure. Totally agree. I admire all she did to better herself, but it felt like for two years that’s all she did. I agree. I did start to wonder if the author was not doing the emotional work to heal her spirit but continued to look for healing from outside of herself. Agreed, was frustrated for 50% of the book & the authors Wah Wah poor me ways. I was so unsatisfied with this book, and struggled to understand why I didn't like it as much as most people...I think you're spot-on about it feeling self-absorbed at times. After all, it IS a memoir, but sometimes it just seemed...off. I started listening to the audio version and had to stop after chapter three. I LOVE her message and the brutal, honest way that she conveys her story but I could not handle listening to the way she completely self sabotaged and self destructed. Hoping to come back to this book at a later time but for now, I have to set it aside for something lighter until I can bear the weight of someone else's demons. it's a MEMOIR. it's supposed to be SELF-ABSORBED!! !